by Linette Martin- 258 pgs. For those who wish they understood more about icons, this will serve as an essential guidebook. Linette Martin explains the history of icons, the materials and techniques used in creating them, and the visual language of icons. 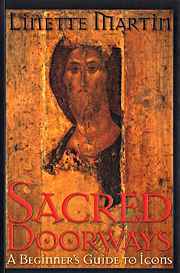 As well, she writes as a spiritual pilgrim about the Orthodox spirituality expressed through this ancient art form.